People tend to think of the heroin trail as originating in an opium poppy field in Southeast Asia or Mexico -- not in Northern California. In a statement on Monday, the Monterey County Sheriff’s Office reported a shocking find: a small poppy field on a private plot near a road in Moss Landing, about 15 miles northeast of Monterey, that could produce some four pounds of heroin annually. 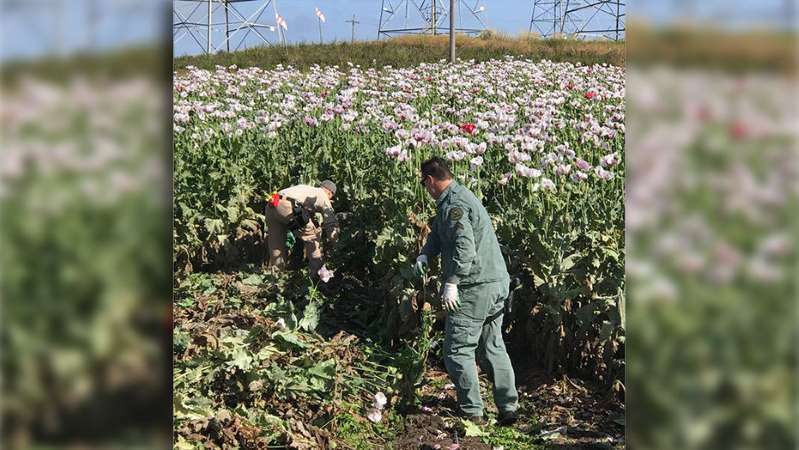 “Over the weekend the Sheriff’s Office Investigations Division eradicated one acre of opium poppies, which contained approximately 27,000 plants of opium poppies and another 16,500 harvested plants,” the statement said. Those plants could have produced a pound and a half of heroin. The plot could have been harvested three times a year. “The street value of a pound and a half of heroin is approximately $45,000,” according to the statement. Officials say no arrests have been made, and they continue to investigate, The Associated Press reported. A 2017 United Nations report listed Afghanistan as the largest opium-producing country in the world, trailed by, among others, Myanmar and Mexico.